A 7th grade student who studied in “Jail School” said, don’t worry this is no school for children in jail or for the siblings of the ones in jail. This is Government Kannada Medium School No. 14 at Vadagaon, which is also called as Jail school by the locals for the only reason being it was a jail earlier in the pre independence era. 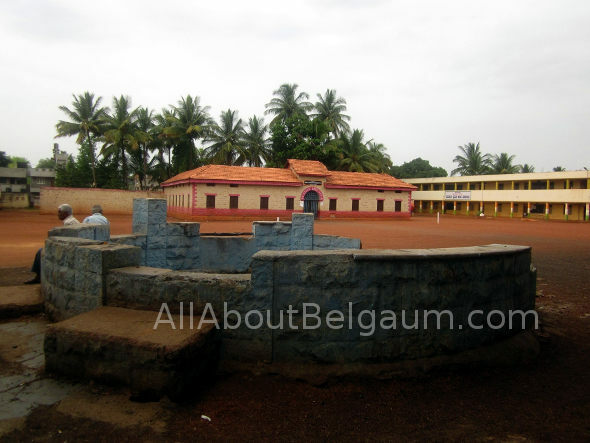 There are many structures in Belgaum built during the British Era, and are still utilized by the government for various purposes. According to the locals we spoke to, the School (Jail earlier) was built in somewhere in early 1900’s as a Jail. The area of the school is also very large with a huge playground now in front of it and a very big old well built with stone and also has many fruit bearing trees. Vadgaon was part of Princely state of Kurundwad state ruled by Royal Patwardhan family and it was a jail of Kurundwad Sarkar. If one goes a little further the same alley one can find the palace of Kurundwad Raja Junior. 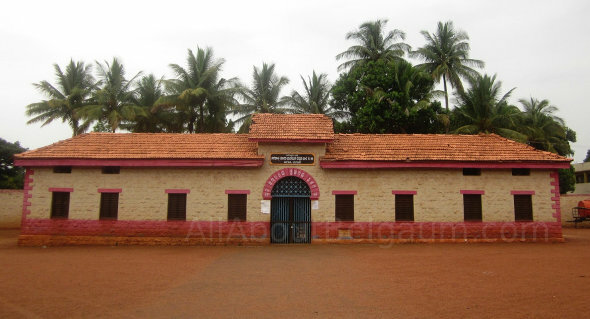 Sindhur Laxman revolutionary who fought against British rule like Sangolli Rayanna was held captive in this prison. His heroic life and valor still praised and sung in folk songs in rural North Karnataka.